He has been regarded with suspicion by some, as an anti-postmodernist who dared to write about unfashionable concepts such as truth and meaning. But in recent years, the philosopher Alain Badiou has risen in prominence, pioneering new ways to produce, conceptualise and discover art. 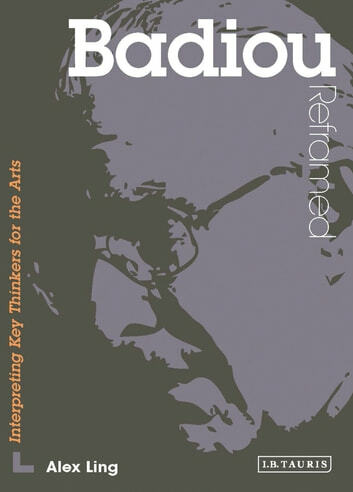 Badiou Reframed is an original book about an original thinker which applies – for the first time – Badiou's philosophy to the visual arts. 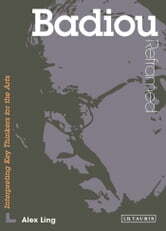 The six central concepts of this philosophy – 'being and appearing', 'event and subject' and 'truth and ethics' – are elucidated through detailed analysis of a range of visual artworks, including Marcel Duchamp's readymades, the abstract paintings of Kazimir Malevich and Mark Rothko, Banksy's contemporary street art, the sculpture of Alberto Giacometti, Stéphane Mallarmé's visual poetry and Victor Fleming's classic film The Wizard of Oz. In focusing on Badiou's critical relationship with the visual arts, Alex Ling reinterprets and represents not only the man, but art itself.